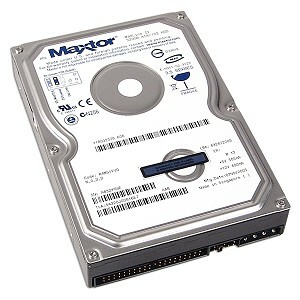 Maxtor MaXLine II drives are ultra-reliable enterprise-class disk drives designed for low I/O applications such as near-line, NAS and other secondary storage solutions. MaXLine II offers better speed and density compared to tape or optical archiving solutions for superior near-line storage. MaXLine II drives are ideal for low-transactional enterprise applications where cost per GB and storage density are critical parameters. They offer 5400 RPM spin speeds, capacities of 320GB, <10 ms average seek time, an Ultra ATA/133 interface, a 2MB buffer.